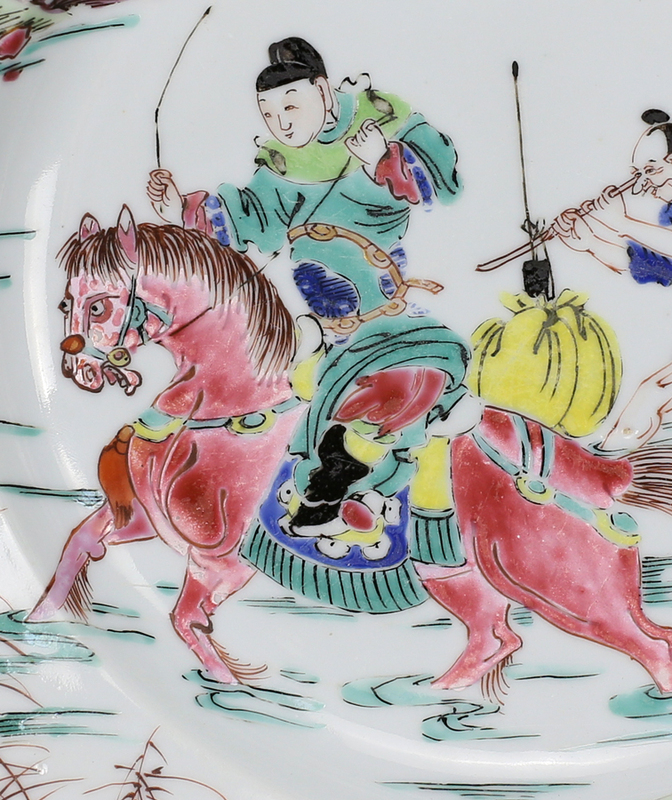 A very well-painted Yongzheng famille rose plate, depicting a scholar crossing a river on horseback, while his attendant follows with luggage in tow. 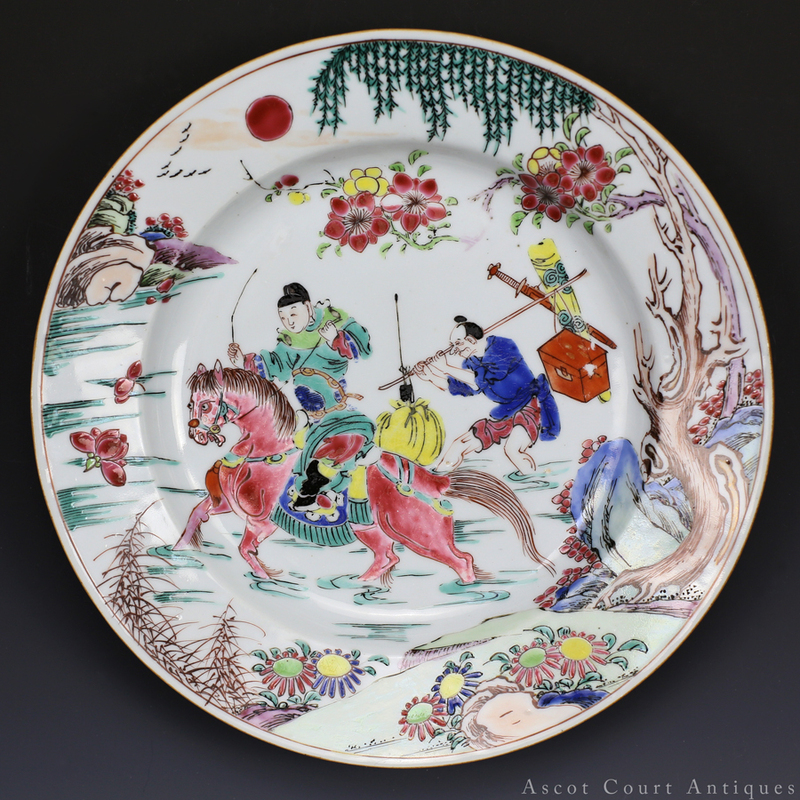 This plate belonging to a group of highly iconic early Qing porcelain illustrating scenes from Romance of the Western Chamber (西厢记 Xixiang Ji). Written in the Yuan Dynasty, Western Chamber is a play full of romance, comedy, and happy endings. Its mass appeal peaked in the late Ming – early Qing, a time when the broad populace loved theatre and had greater access to popular plays and fiction via the printed media. 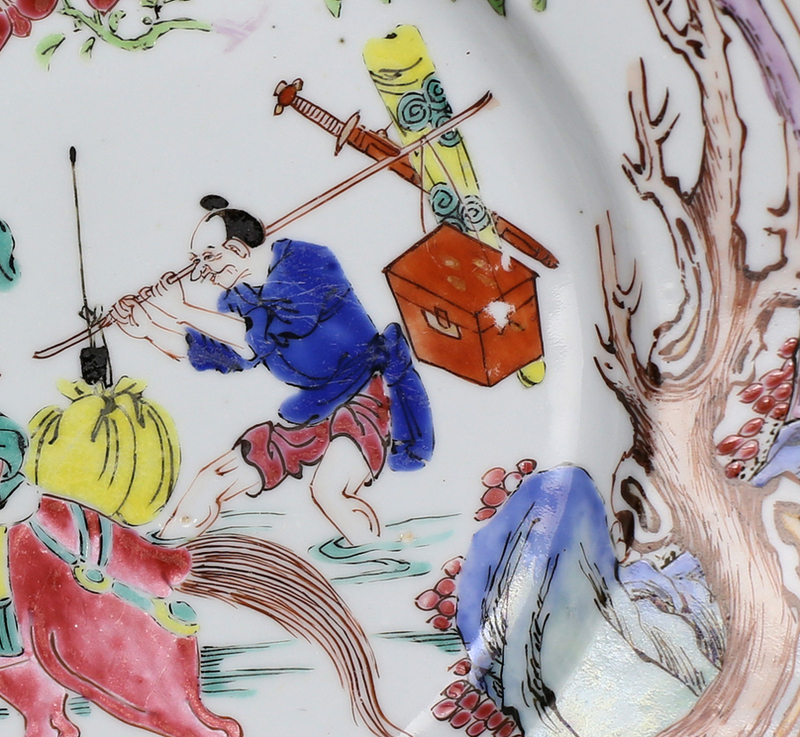 Western Chamber scenes such as the one painted on this plate were likely derived from popular woodblock prints illustrating the play. 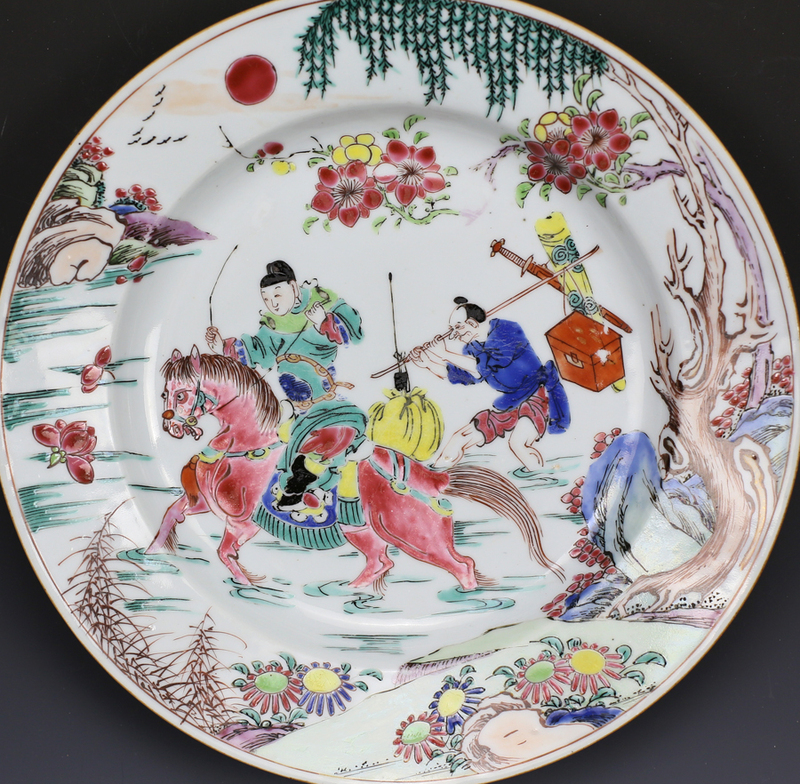 The specific scene depicted on this plate is commonly called ‘Zhang Sheng rushes to take the imperial exams’ (Zhang Sheng gankao 张生赶考). Having illicitly consummated his union with Cui Ying Ying, and having been discovered of doing so by Ying Ying’s mother, the hero Zhang Sheng is given an ultimatum: he must succeed in the Imperial Examinations, or Ying Ying’s mother will oppose their union. Luckily, Zhang Sheng proves to be a brilliant scholar, and is appointed high office. The play ends with the marriage of Zhang Sheng and Cui Ying Ying. 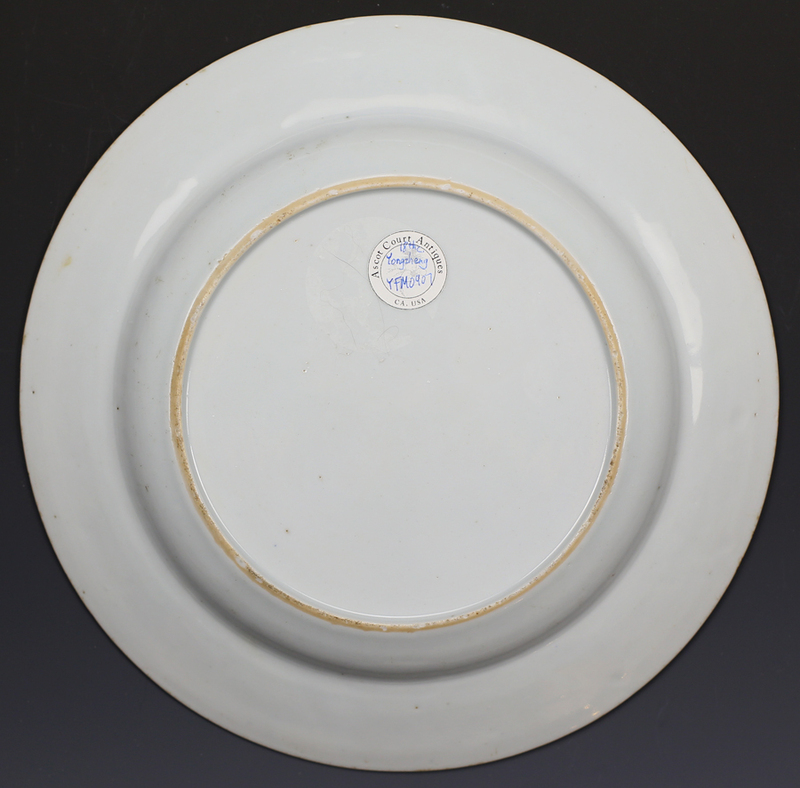 Smooth-faced and delicately featured, Zhang Sheng is one of the best-recognized faces in early Qing porcelain. In many portrayals (including this one), he is painted in deliberate contrast to his manservant, whose awkward unsightliness plays foil to Zhang Sheng’s lithe sophistication. In this sense Zhang Sheng is the archetypical Chinese hero, marked by refinement and erudition.